Let's face it - recreating the light and fluffy naan that you had in India can be very difficult to do once you're back in your own kitchen. Even with the right recipe, ingredients and tools, it may feel like something’s missing. Action Against Hunger's newest partner, Kitchen Connection, has a solution to this conundrum. Kitchen Connection is a social network that brings together foodies and chefs, professional and amateur alike, connecting individuals who want to learn a particular dish to those who know how to make it. It's that simple! Kitchen Connection's founder, Earlene Cruz, was inspired to create the site after her experiences studying and traveling abroad. Upon her return to the U.S., she missed the person-to-person connection she had in kitchens around the world, so she came up this creative solution. Recently, Action Against Hunger staff got the chance to attend the beta launch of Kitchen Connection and see this innovative platform in action. 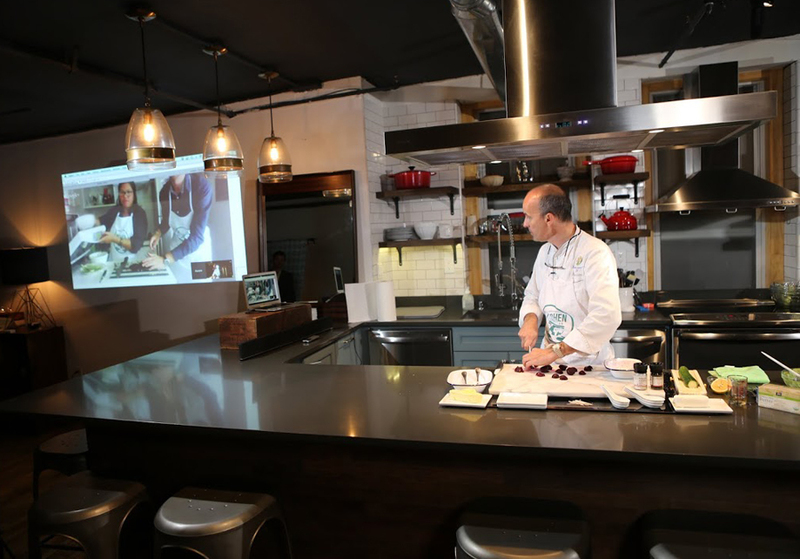 Chef Claude Godard, of Madison Bistro in New York, led Kitchen Connection's first online cooking tutorial with a pair of foodies located hundreds of miles away in Paris. The students were able to ask questions throughout, which made for a truly fun and interactive experience. Kitchen Connection's mission statement is "I'm eating - you're eating - and because we're eating together, someone else is eating too." In keeping with this goal, each time you sign up for a tutorial on the website, a portion of the proceeds goes to Action Against Hunger's life saving work. Alex Cottin, Associate Director of Partnerships at Action Against Hunger, delivers remarks at the event. 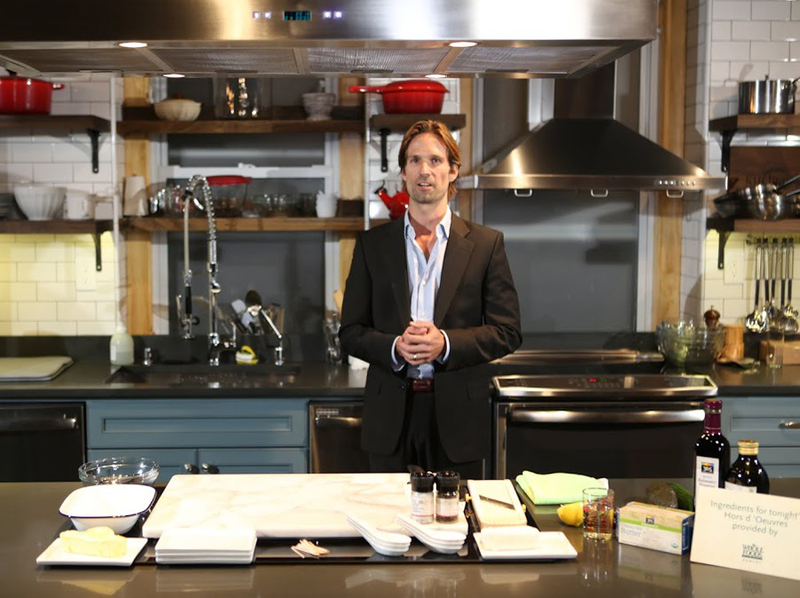 Sign up now to be a beta tester and one of the first to know when Kitchen Connection officially launches. Grab your aprons and mixing bowls and let's bring everyone to the table!